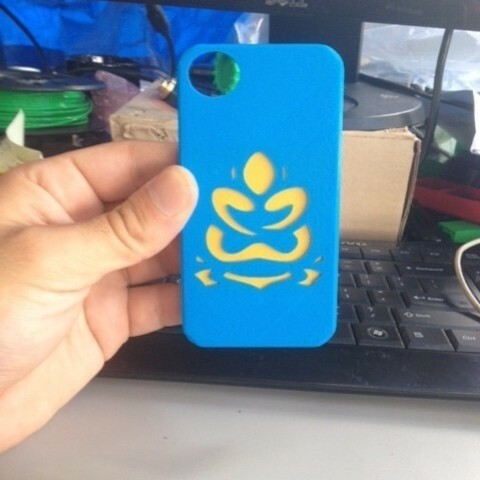 This Iphone 4S case has a buddha stencil on it. The edges of the case are beveled and not sharp and the camera opening won't obstruct photos. Print the insert in a different color and glue it in place, or just let it sit there without glue. You also may need to cut the insert a bit to fit but scissors will do the trick.